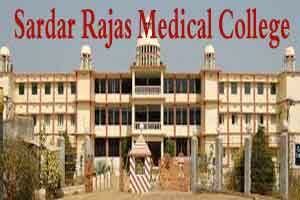 After the recent intervention by the Supreme Court in the matter of transfer of students of Sardar Rajas Medical College (SRMC) to two government medical colleges; the matter continues to be inconclusive. Earlier, the apex court had banned the students from attending classes till January 08. The further on ground reports say that the Supreme Court has now directed the state authorities concerned to maintain the status quo. In other words, the SRMC students are still now allowed to attend the classes. This development is another major setback to the students, who were heaving some sigh of relief after being granted admissions to the government-run medical colleges in Odisha. Now, once again their fate continues to hang in balance. This decision by the apex court is in conflict with the earlier decision by the Orissa High Court which directed the transfer of students to the VIMSAR at Burla, MKCG Medical College at Berhampur and private medical colleges in the State. The state government’s action on the order was met with protest and resistance from VIMSAR students. As reported by Odisha Suntimes, hearing the case, the apex court upheld its earlier order in which it had barred Sardar Rajas students from attending classes till next hearing on Tuesday. Besides, the court issued notices to Sardar Rajas Medical College and state government to submit their contention on the day of next hearing. With this, the court has put a stay on the Orissa High Court’s order to go ahead with the absorption of medicos in private and government colleges in the state. As reported by the Express, The Supreme Court on Friday, it is learnt, has sent notices to all parties concerned including Odisha Government, Medical Council of India (MCI) and Selvam Educational and Charitable Trust, Tamil Nadu, on the issue of shifting of students of SRMC to Government-run medical colleges in Odisha. The State Government had entered into an agreement with Selvam Trust to run SRMC which had to be closed due to non-compliance of MCI guidelines. President, VIMSAR Students’ Union, Jayashankar Mishra said as per information available with the union, the Supreme Court has questioned as to how can students of a private medical college attend classes in Government-run medical colleges. While they were waiting for the SC order to reach them, Mishra said the order has come as a major relief for the students of VIMSAR who have been agitating over the issue since November 21.